Watch Miranda Lambert Sing “You and Tequila" With Kenny Chesney! Watch Miranda Lambert Sing “You and Tequila” With Kenny Chesney! 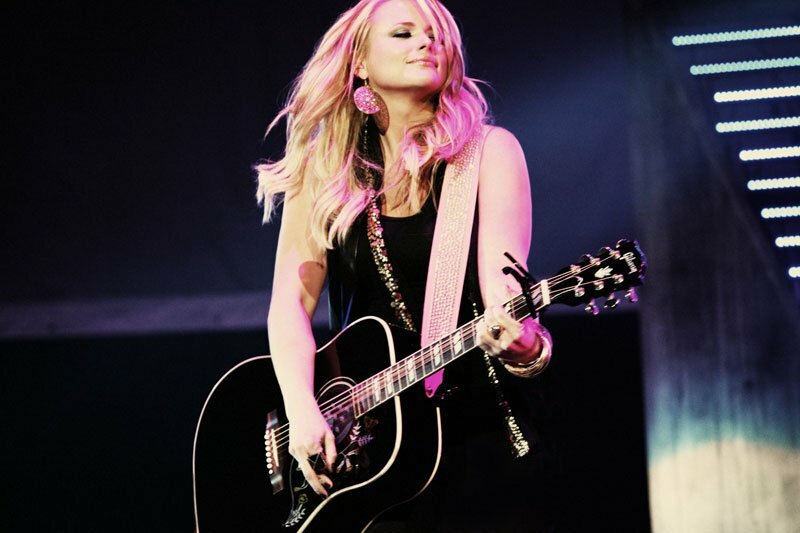 Miranda Lambert recently joined Kenny Chesney on tour in Chicago. Lambert sings Grace Potter’s part on the ballad and of course killed it! “Miranda is a fine artist and a world class singer,” Chesney said after. “After that, we couldn’t do just one,” he added. Lambert then joined Chesney for George Strait‘s “Carried Away,” as well. This all comes one day after Lambert was part of a surprise show at Joe’s Bar in Chicago where she played with Gwen Stefani’s band and covered the hit “Spiderwebs”. Lambert isn’t officially touring this summer, but she’s keeping plenty busy with festival dates through August. She’ll play WE Fest in Detroit Lakes, Minn. on Aug. 7. This fall she’ll begin the Roadside Bars and Pink Guitars tour with RaeLynn, Clare Dunn and Courtney Cole. For more Miranda Lambert coverage CLICK HERE.